Have you ever found yourself standing in the middle of a retail store with a name brand performance shirt in one hand, and a generic brand in the other? At first glance, it can be challenging to determine the difference between different moisture management brands and materials. By default, consumers often associate a higher price with better quality or durability, but that's not always true for the sport's apparel industry. Let's take a minute to look at three moisture management tee shirts-- with different price points-- that you can confidently consider for your team or sports club. 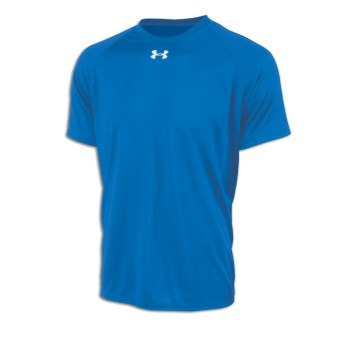 With the different technologies that UA has developed to make their Locker Tee stand out, it doesn't come as much of a surprise that this is one of the more expensive options on the market, coming in at $22.99 MSRP. That being said, Under Armour's signature features will ensure comfort and mobility on the court or in the weight room, contributing to it's popularity amongst athletes across the performance spectrum. Badger's performance line comes in youth and adult sizes in a variety of bold colors and-- most importantly-- they come in at a few dollars less than Under Armour at $17.50 MSRP, providing a quality look and feel for less. Good for the gym, youth league uniforms, or even your next Spartan race, these moisture management tees have a wide array of uses at a great value. Used by colleges and high schools that want to get more bang for their buck, this is a value brand that's worth exploring if you're looking to save money without sacrificing quality. 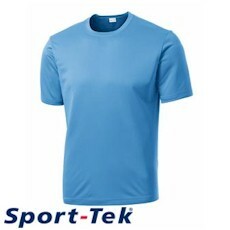 For only $15 MSRP, the Sport-Tek performance shirts are a budget-friendly option for any organization. 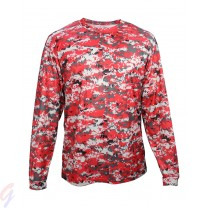 If you're looking for moisture management apparel for your team, youth league, or gym staff, why not start by asking for sample items from a team dealer like SquadLocker? We regularly lend samples to our customers, and don't charge upfront for the cost of the gear. You'll have thirty days to try on the apparel, and we'll even provide a pre-paid shipping label to return the goods to our doorstep. As long as we get the garments back within thirty days, you won't be charged a thing! If you're interested in sampling one of the performance management options in this blog post, then contact us today for more information.